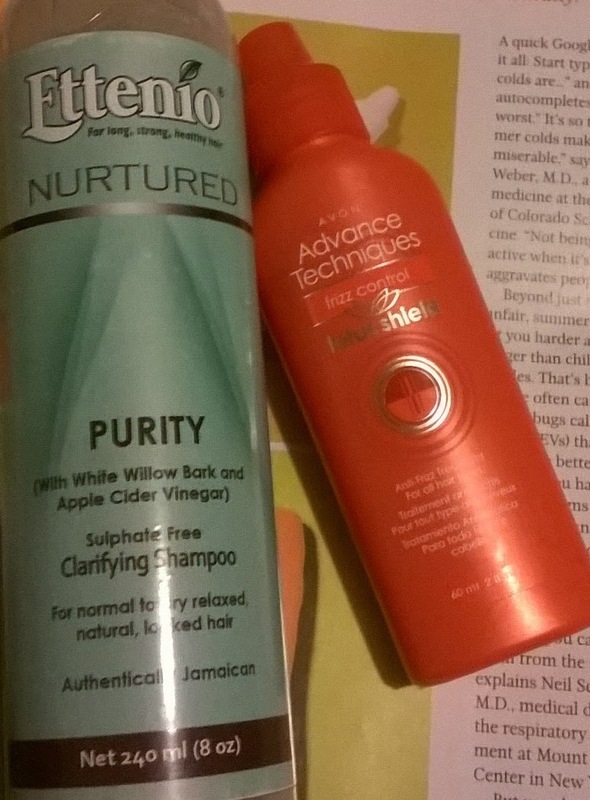 My hair has become very dull and was not holding any curls; therefore this week I decided to clarify it using a Ettenio Purity shampoo. Even though it is recommended that you should clarify your hair once per month I never saw I necessary to do so because I clarify after each relaxer touch up. I believe the product build up I am currently experiencing is due to the frequent co-washes. Shampooed twice with Ettenio Purity sulphate free Clarifying shampoo. My hair was so product laden that the first wash did not lather, therefore I have to shampoo twice. This shampoo has great ingredients such as Apple cider vinegar and aloe vera juice but it stink to high heavens. Deep Conditioned with Shea Moisture Jamaican Black Castor Oil Strengthen, grow and restore treatment masque and coconut oil under a plastic cap and head tie for thirty minutes. 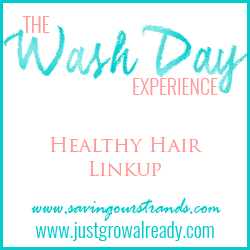 After allowing my hair to cool I rinse with warm water, and finished off with cool water after all the product was properly rinsed out. I then wrapped my hair in a t-shirt to get rid of the excess water. After removing the t-shirt I sprayed my hair with Strength and shine leave in conditioner and allowed to air dry to 90 percent. Then applied Ettenio Moisture Reign and Ettenio Mangoshea daily moisturizer before roller setting. I was not very happy with how my hair felt, I felt dry and looked a little frizz therefore I add a few drops of Jamaican Black Castor Oil and a few squirts of Avon Lotus shield frizz control and set with my 1 1/2 inch perm rods. I loved the results of adding the JBCO and the frizz control. I wished I had the chance o take pictures but I was leaving for a three day emergency trip but I must say that my hair maintain it's moisture level even in the hot Caribbean.